For the past 20-odd years in the United States, traumatic and acute conditions have often been treated in the Emergency Room using opioid drugs. Now, with the effects of a nationwide opioid addiction crisis becoming increasingly dire, hospitals and trauma centres are looking for new ways to treat pain without prescribing addictive opioid painkillers. The goal of reducing opioid prescriptions is especially important for patients who are recovering from addiction to opioids. The Huffington Post has published a video that follows one patient’s story as he recovers from a shattered femur at the University of Maryland Medical Centre [watch below]. The University of Maryland Medical School employs the SonoSite X-Porte to guide anaesthesia placement in real-time. 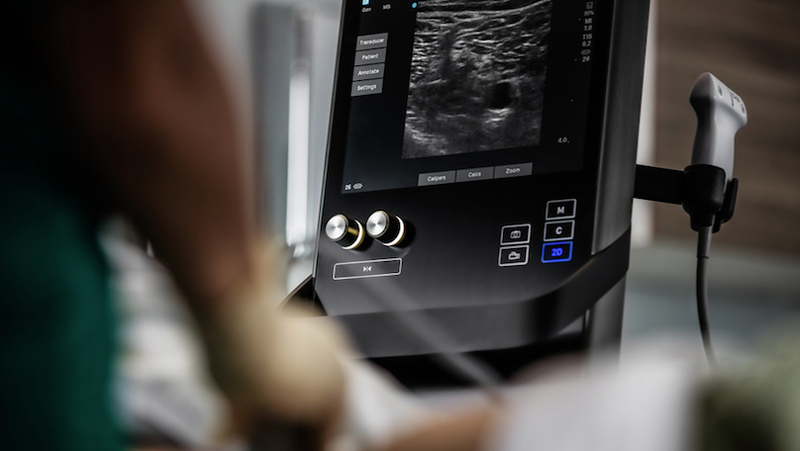 One of the many ways in which pain, especially traumatic pain from injuries like broken bones, can be treated is through ultrasound-guided nerve blocks. Fujifilm SonoSite has been honoured to be part of provider efforts to provide pain-relief without opioids. St. Joseph’s has the second-busiest Emergency Department in the United States, seeing 175,000 patients in 2016. Learn more about how St. Joseph's is combating the growing opioid addiction problem through trigger point injections, nitrous oxide, ultrasound-guided nerve blocks, and even meditation.